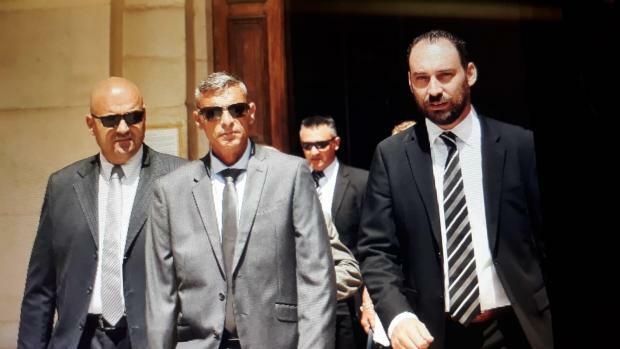 Simon Schembri, the policeman who sustained horrific injuries after being mowed down by a motorist last May took the witness stand in court on Thursday. The accused Liam Debono's phone was retrieved by police. Europol is being consulted over whether more data can be extracted. Simon Schembri had personally bought an upgraded helmet. His police-issue equipment had no safety rating. Schembri was checking the car's numberplate and calling the control room when it began moving in his direction. As he raised his arm to warn the driver to stop, the car accelerated towards him. Schembri says he could not react in time and was thrown onto the bonnet and then trapped under the car. Defence insists the policeman had time to get out of the way. He was dragged along in "indescribable" pain. "Something terribly wrong was happening to me. All this flashed through my mind in those seconds." 11.50am: With that, the day's testimony is wrapped up and the court is fixing the next adjournment. The court will then consider the issue of bail. Defence lawyer Dr Debono says his client needs guidance in life. 11.45am: The witness is followed by Anton Debono, the accused's father. But he states that he has chosen not to testify. 11.40am: PC Schembri has left the stand and retaken his seat as the next witness steps up. 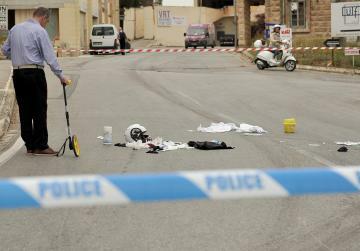 The witness, a police officer, says he had checked out a Volkswagen Polo in Vittoriosa, accompanied by the accused’s father. The car had a bent number plate and the window mechanism was not functioning. The witness also inspected a garage where the accused reportedly slept, but found no sign of habitation there. 11.32am: Dr Debono says a young commuter at a nearby bus stop had testified that PC Schembri stepped in front of the car when it was moving to attempt to stop it. The policeman says he would have been "crazy" to step in front of a two-tonne car to stop it. 11.25am: Dr Debono isn't letting up on his line of questioning. He insists the policeman could have ordered him to stop and stood aside to avoid danger. PC Schembri says his mind did not register the threat in the seconds before he was struck. "Instead of stopping, he gathered speed and drove towards me." 11.16am: The sitting is heating up. Dr Debono brings up another case where someone who killed a person in an alleged drink-driving accident was granted bail. The magistrate says it is his duty to stand up for society and that Dr Debono line of questioning seemed to imply that officer ought to have kept away. 11.15am: Magistrate Joe Mifsud steps in with a comment. Thank God we have policemen who take action when something is wrong, he says. "We need to protect society." 11.10am: Dr Debono is questioning why PC Schembri did not move to avoid the car when it started moving towards him and why an officer of his experience would not have contemplated the possibility that the driver would not obey the order to stop. He asks whether it is possible that the car had just pulled in monetarily as the driver was manoeuvring away from the pavement. PC Schembri insists it all happened in a fraction of a second and that his bike was parked behind him, preventing him from moving back. "An approaching car at a distance is one thing, a car so close is another," he says. 11.05am: Dr Debono declares that his client wishes to formally apologise for what he has done. The accused stands up and begins to apologise - "I am sorry for you" - but is interrupted by the magistrate. The declaration has been noted by the court. My body felt as though it was melting down; something terribly wrong was happening to me. 11.02am: PC Schembri has identified the aggressor in court. He takes a seat next to the witness stand for a brief rest before defence lawyer Dr Debono puts his questions. 10.59am: He is still in pain and cannot imagine returning to work yet. He struggles to sleep and is haunted by thoughts of the incident. 10.55am: PC Schembri had two surgical interventions, one the removal of his right arm and the other because of collapsed lungs. He describes his numerous injuries, an endless list which includes 11 fractured ribs and part of his chest scraped away in the incident. “I don’t know if the doctors gave me the full picture of my predicament,” he says. 10.52am: When a colleague arrived, PC Schembri says, he told him not to tell his wife what had happened. He told him to take photos as he knew he had terrible injuries. He recalls hearing many voices, being given a sedative and lifted into the ambulance. He recalls the speed of the ambulance, and asking why the driver was going so fast. 10.46am: "I saw the front tyre slightly raised. I was underneath and I was seeing everything, pulling in my legs," he says. "I was shouting: "Stop, stop! What have I done to you? You’re going to kill me! My body felt as though it was melting away; something terribly wrong was happening to me. All this flashed through my mind in those seconds. Suddenly I was flung out, landing face up. I couldn’t breathe. I concentrated solely on continuing to breathe. I knew that otherwise I would die." 10.41am: PC Schembri says he moved to check the number plate and call the control room when he saw the car moving towards him. He was two or three metres from the left mudguard. He says he yelled out "Oi, x’qed tagħmel?" ("Hey, what are you doing?"). He landed on the bonnet and instinctively tried to grab a wiper, but slipped off and ended up under the car, face down. 10.30am: On the day of the incident, PC Schembri began work at 6am and was assigned to the Paola, Luqa and Cospicua area, along with two other officers on the same beat. At 6.45am he saw to a collision in Palm Street, Paola, before heading to Luqa via Qormi. 10.27am: Answering questions from his lawyer Arthur Azzopardi, PC Schembri says he has been in the police corps for 22 years, the last seven in the traffic section. He describes his motorcycle, a BMW, and safety gear, including gloves and an upgraded helmet he bought for himself. The helmet had a three-star rating (out of a maximum of five). The police-issue helmet had no safety rating. 10.25am: As PC Schembri steps up to the witness stand and takes the oath, magistrate Joe Mifsud tells him to take it easy and offers him a drink and a chair since he cannot stand up for long. 10.23am: Simon Schembri will be testifying soon. He has just entered the court room, smartly dressed. 10.19am: The phone was in Debono's possession at the time of the accident Debono. It was retrieved by police after his arrest. Prosecutors believe it may shed light on whatever he did in the minutes preceding the incident and up to the moment of his arrest. There might also be data relative to other earlier incidents concerning the accused, Inspector Fleri explains in reply to a question by defence lawyer Franco Debono. 10.17am: The data will be handed to a foreign expert with the means to extract further information. Prosecuting Inspector Fabian Fleri informs the court that police are going to get in touch with Europol to check whether there is any such expert who might be able to help. Meanwhile, Liam Debono is sitting in the dock listening attentively. 10.10am: Court expert Keith Cutajar is now testifying. He had been tasked with analysing data from Debono's mobile, which was password protected. The court expert is presenting the data he managed to retrieve with the means available. 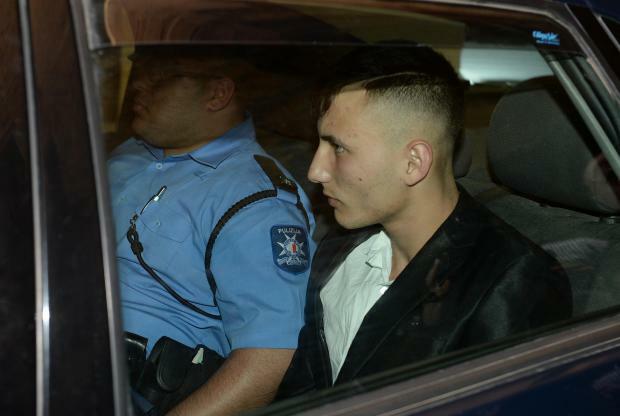 9.55am: The court is hearing the compilation of evidence against Liam Debono, 17, who is charged with the attempted murder of the policeman in a hit-and-run in Luqa on May 15. 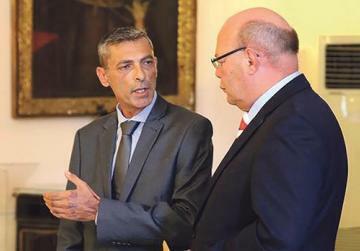 Mr Schembri, 48, lost his arm, and suffered serious injuries to his limbs and lungs when Mr Debono allegedly drove at the policeman after being stopped for a seatbelt infringement. The policeman was dragged some 400 metres before being dislodged. Debono was arrested a short while later. He was arraigned on May 16 and has pleaded not guilty to an array of charges, including attempted murder. Magistrate Joe Mifsud has already ruled that there is enough evidence for Debono to stand trial.